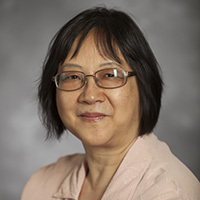 Winship researcher Georgia Chen, PhD has been named to the MilliPub Club, which recognizes current Emory faculty who have published one or more individual papers throughout their careers that have each garnered more than 1,000 citations. Rafi Ahmed, PhD, Ioannis Sechopoulos, PhD and Ya Wang, PhD are recipients of the 2014 Emory 1% Award. The honor recognizes Emory faculty whose National Institutes of Health (NIH) proposals have been ranked in the top 1% by NIH reviewers.